She returns home with secrets and he needs her trust to move on. But not all secrets are meant to be told. Shaken, Annabelle Waters returns to her burnt childhood home. As she takes care of her surviving parents, the remaining farm and studies for her last nursing exam, commitments she’s made in San Francisco haunt her. Excited to have Annabelle back in town, Derek Fields pulls all the stops to convince his next-door neighbour, the girl he’d last seen as a kid, to stay for longer than a month. His best friend’s scrubby little sister has grown into a woman who fills his dreams and he can’t let her go. The moment their paths cross, neither realizes that as their friendship grows, so do the consequences of their actions. 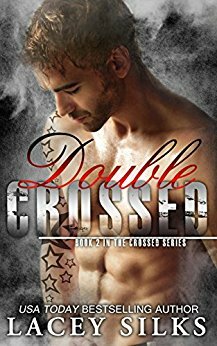 They’re both about to be tested by a man who’s had a plan for Annabelle Waters for much longer than she’s known him because sooner or later, all secrets come out. Warning: This novel is intended for mature audiences only. 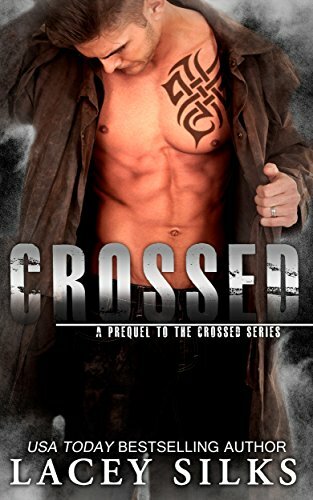 Double Crossed is Book 3 in the Crossed Series. "This is the story of a young small-town woman who went off to college and got in over her head with a con man. After a devastating family tragedy, she returns to her small town and falls in love but the secrets in the city will disrupt her life. This is a beautiful romantic, suspenseful drama that will change lives in the small town of Ogden forever. It's a must read that you don't want to miss."